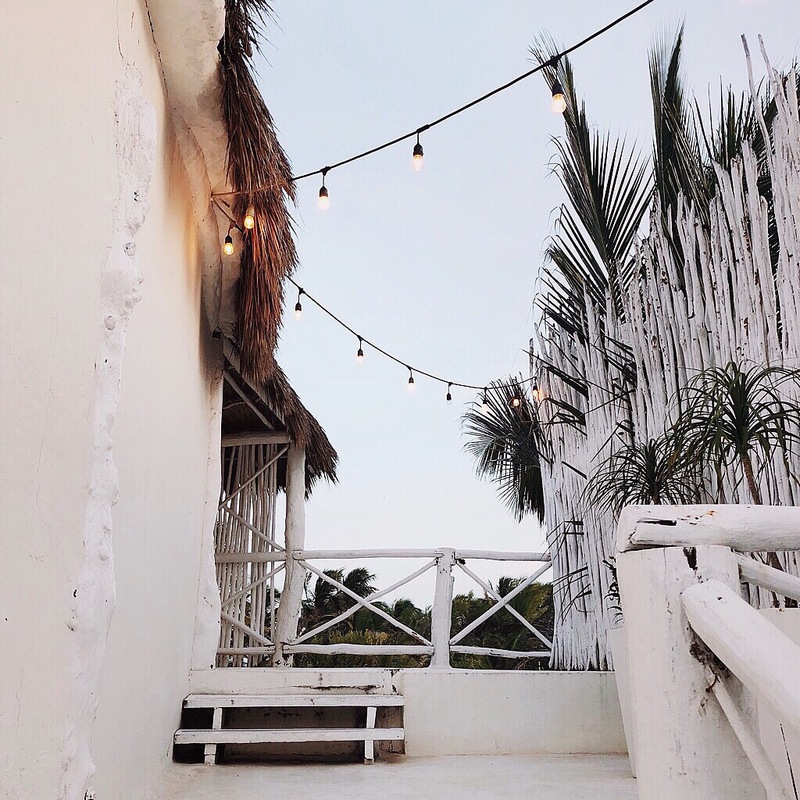 The eco chic, treehouses, good vibes, incense scent in the air, music, sounds of the jungle and twinkling lights – that’s Tulum. If you are looking for a holiday in the wild with a stylish twist – it’s a place for you. Just the thought of our beautiful Honeymoon, makes me want to turn back time and experience it all over again! 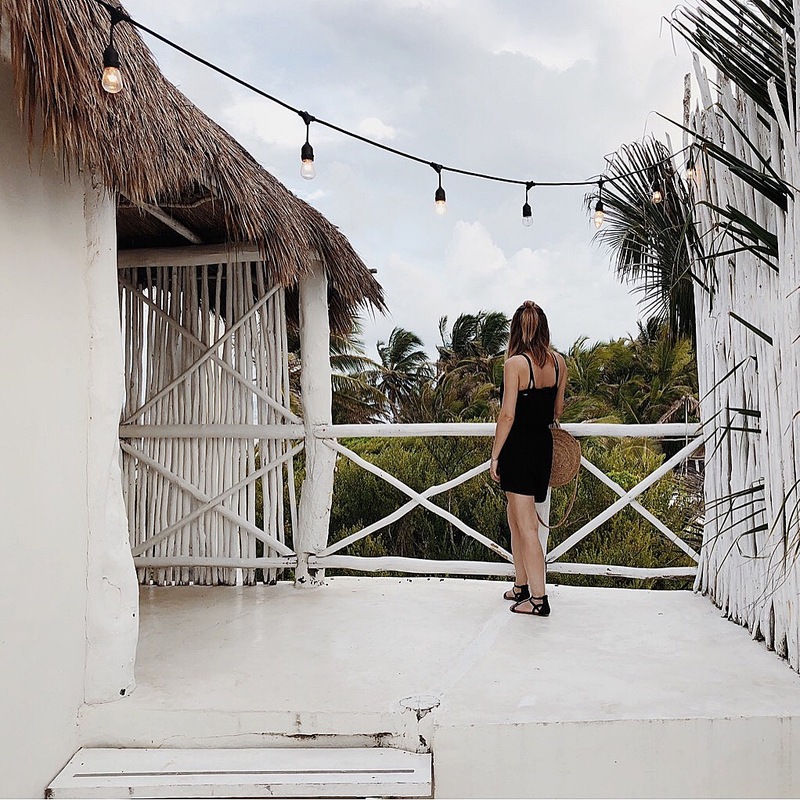 That’s one of the reasons I decided to share Tulum guide with you, a list of must-see places, yet from a slightly different angle. 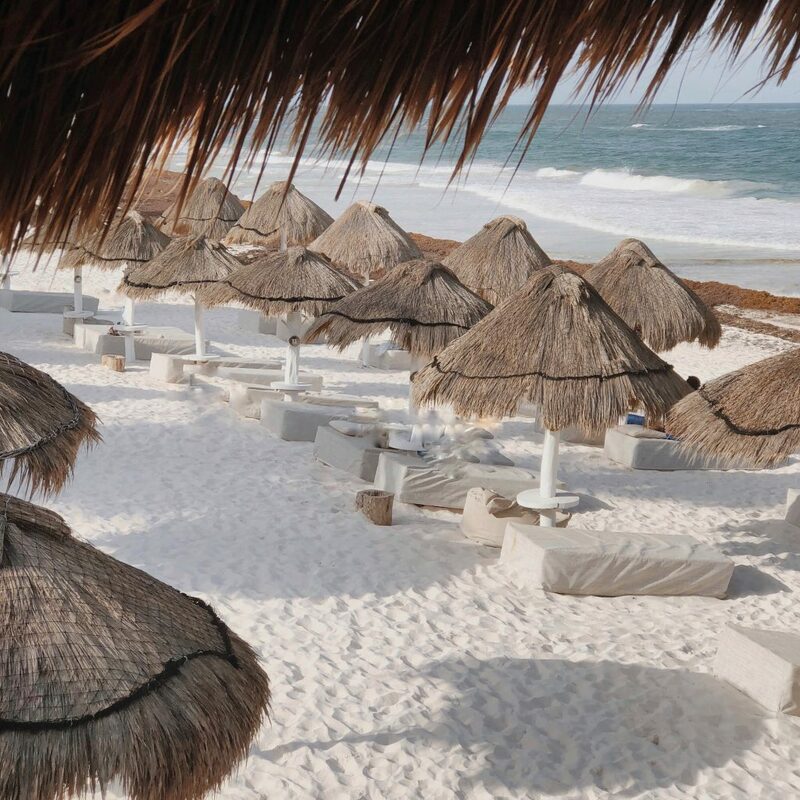 You won’t find here typical travel tips, I will focus mostly on the Tulum concepts and eco-design. 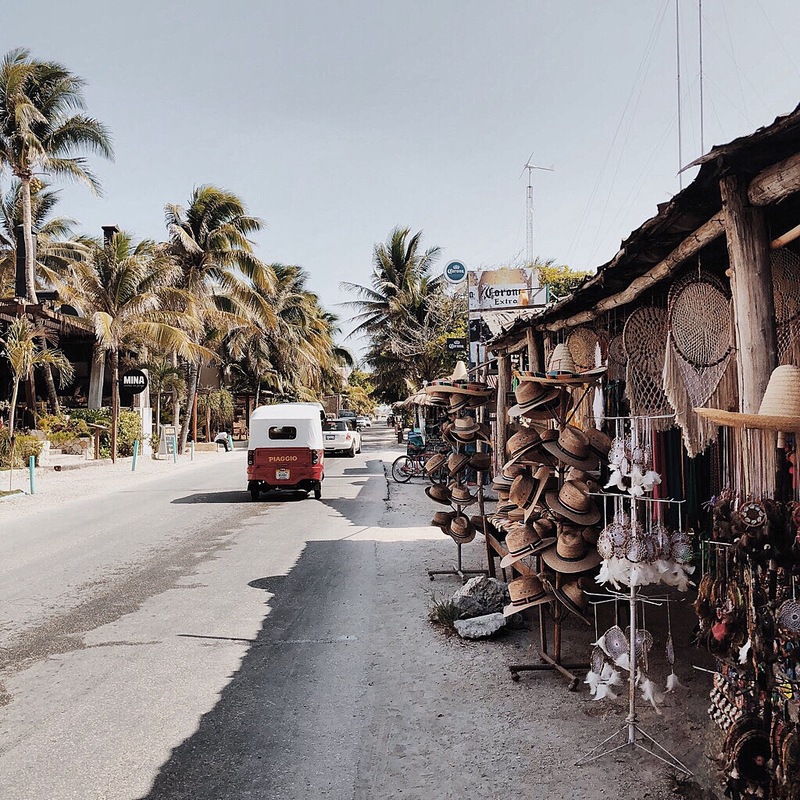 Tulum is filled with amazing places, every corner is a stylist’s heaven worth exploring. In this guide, I will talk about places I saw, visited and tested myself so you can trust my recommendations. 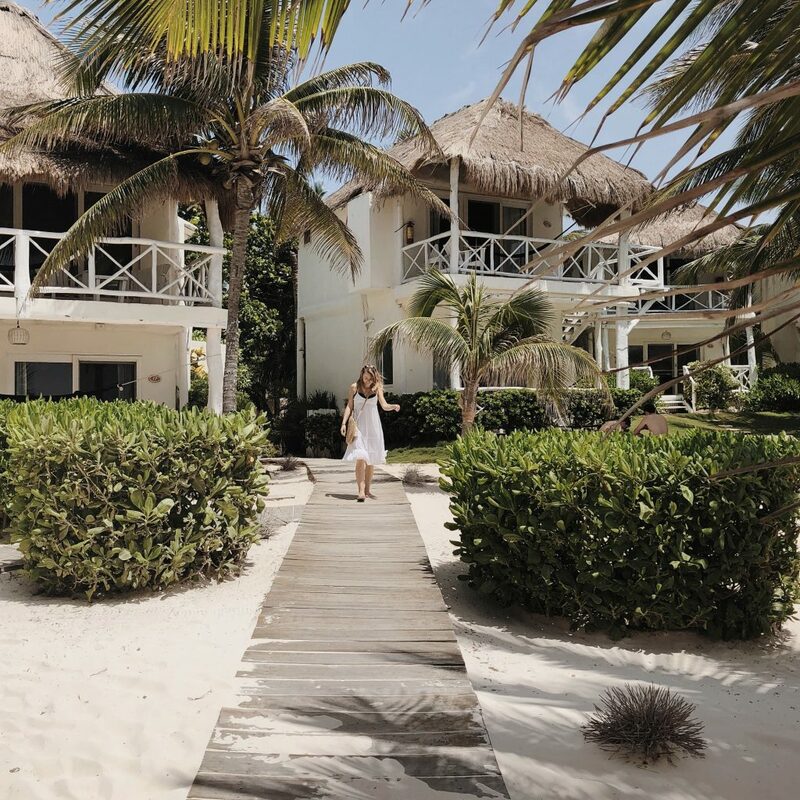 The Tulum life goes beyond the typical beach life thanks to the ‚eco-chic’ concept which is celebrated in the area. Everything what is green, sustainable, solar-powered, recyclable, made from natural materials, with your own two hands is a signature of the place. The hotels, the restaurants, the shops follow the mantra offering organic architecture (yes, trehouses! ), meals prepared exclusively with local ingredients, handcrafted goods from natural materials. 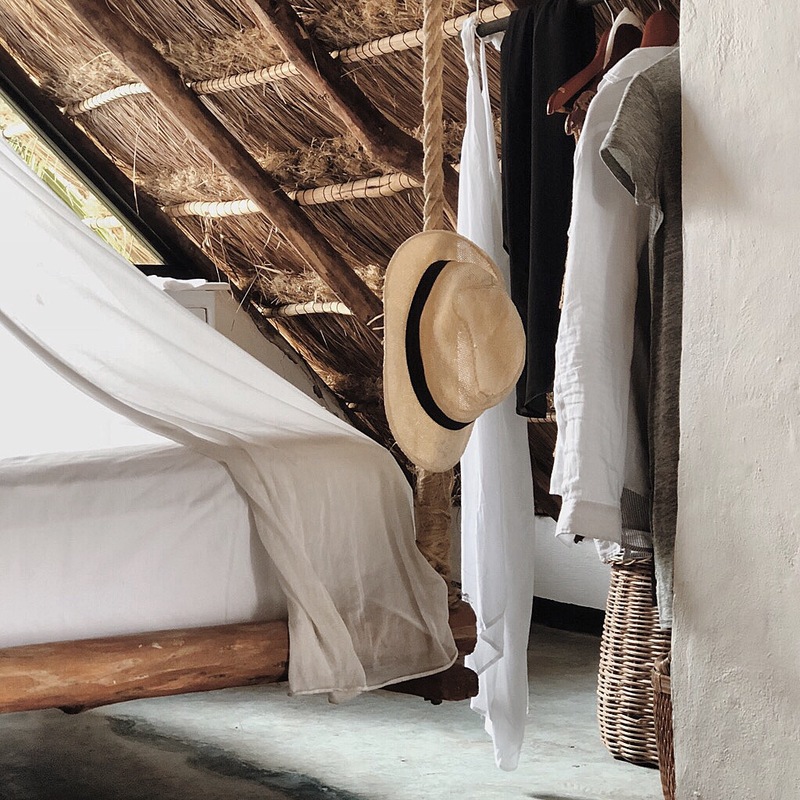 Tulum is about experiencing life close to the nature, that’s why most of the hotels have limited electricity access: no Tv’s, no AC and slow or no wifi signal! Surprised? Well, why would you like to stream the latest episode of ‚Lost’ when you can go and live your own ‚lost in the jungle’ adventure? 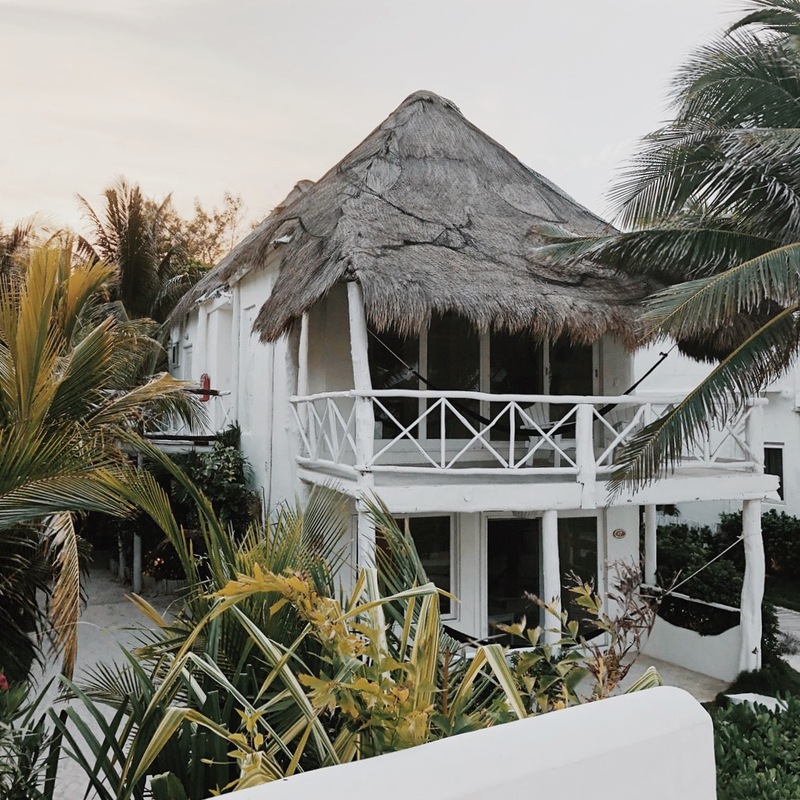 Tulum is located about 1,5 hour drive from Cancun airport – you can get there either by bus transfer, private taxi ride (around 70 euros) or rented car. In Tulum – Rent a bike to go around and explore all the concept places located on the road (it’s a long road with many bars, shops, restaurants) Walk on the beach to enjoy the seaside and stop in a beach bar for a refreshing smoothie or cocktail. It’s the little things that bring the biggest joy. Pinacolada being one of them, for sure! 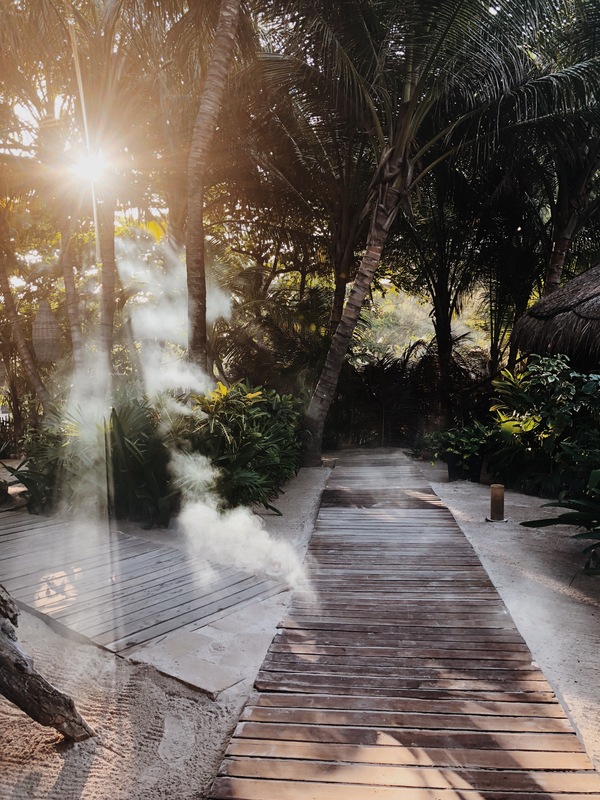 Before I will tell you where we stayed during our Honeymoon, I have to be honest here – I came to conslusion that it’s hard to go wrong with any hotel in the Tulum beachfront. They all look great and share similar style, some are more fancy than others (some offer AC, if you prefer to have one) but all of them share the love for nature and organic architecture. The photos online most of the time do not refect the true beauty of the place. It gets better than what you see in the pictures. 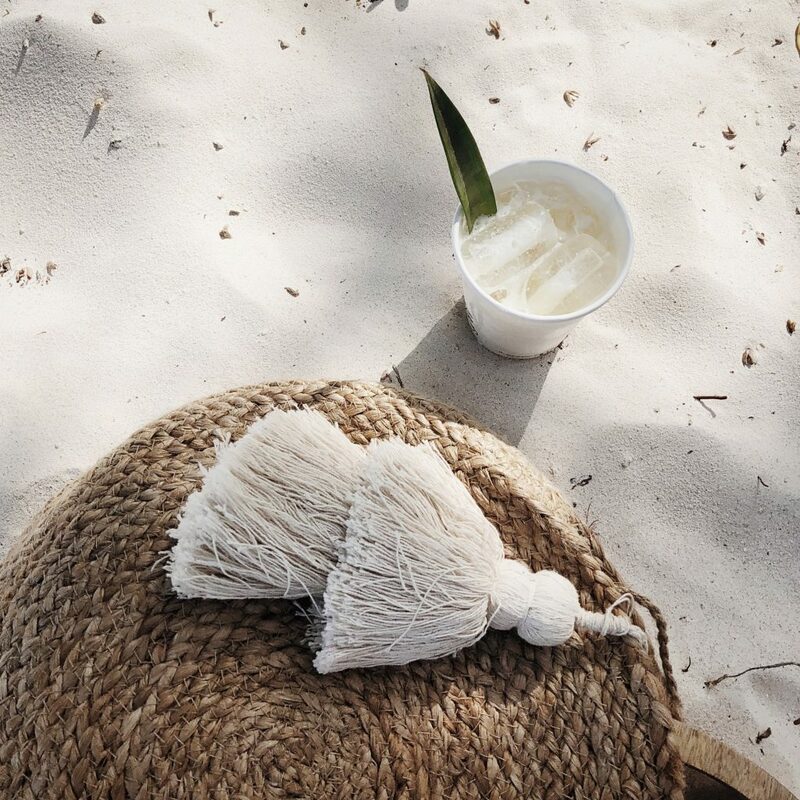 1/ Yes, Azulik is undoubtedly the best (but also most expensive) option on the Tulum’s map. We have not stayed in the hotel but we were invited to visit the Azulik gallery designed by Jorge Eduardo Neira Sterkel and that gave us the good understanding of the hotel’s philosophy. The gallery is an architectural masterpiece, phenomenal place so make sure to stop by. Before you enter the gallery, you must take off your shoes. 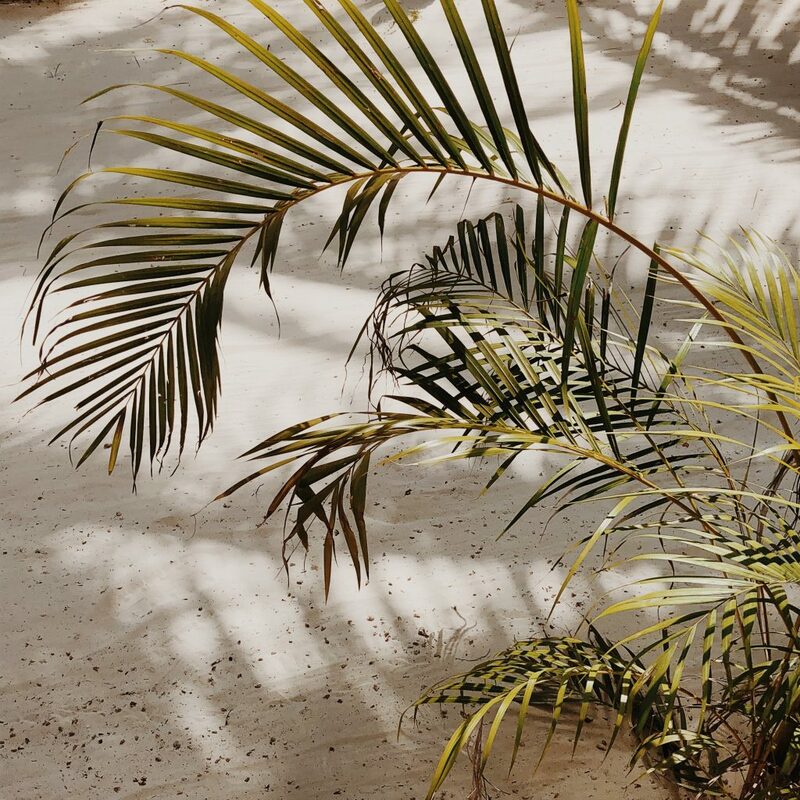 Part of the experience, according to its designer Jorge Eduardo Neira Sterkel, is through your feet, which alternately pass over carpets of curving jungle vines and polished cement. The gallery is an artpiece itself, yet inside you can admire work of many talented artists, climb the white-washed cement walls and…play! If I would have to use three words to describe it it would be – giant, tree-like labyrinth! Sunday : La Zebra Salsa night with live music – Go to La Zebra to dance salsa, eat, compose your own drink based on personal preferences and simply have a great time. You will feel welcome even if you are not a good salsa dancer! The level is pretty high! 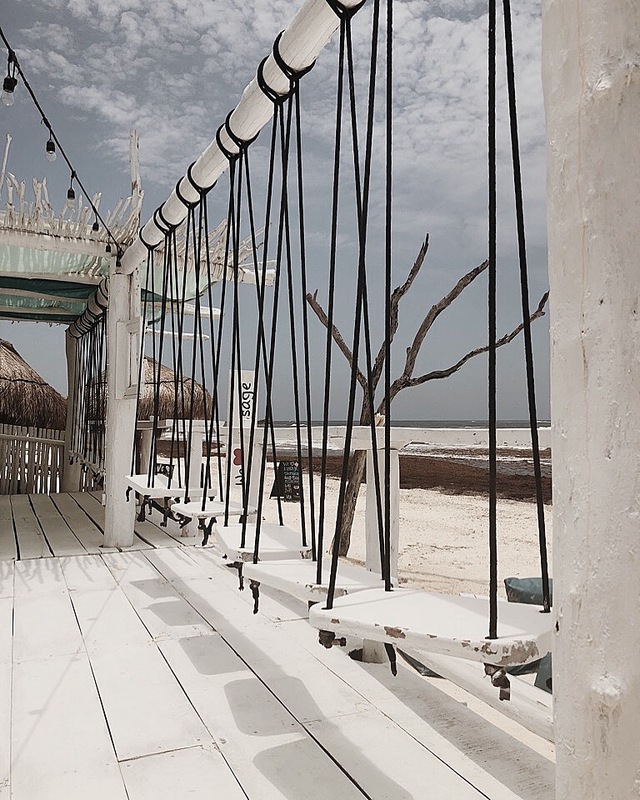 Coco Tulum’s white beach swings and string lights, get a pinacolada and enjoy the beach. 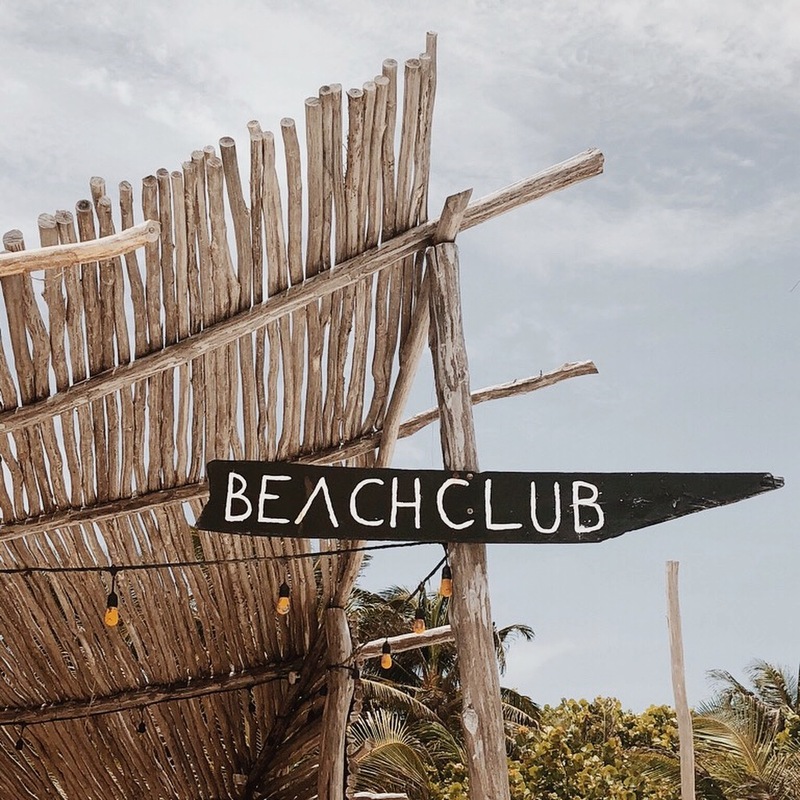 Ziggy’s beach – the most relaxed beach bar with the best Tuna Nachos and cocktails selection. 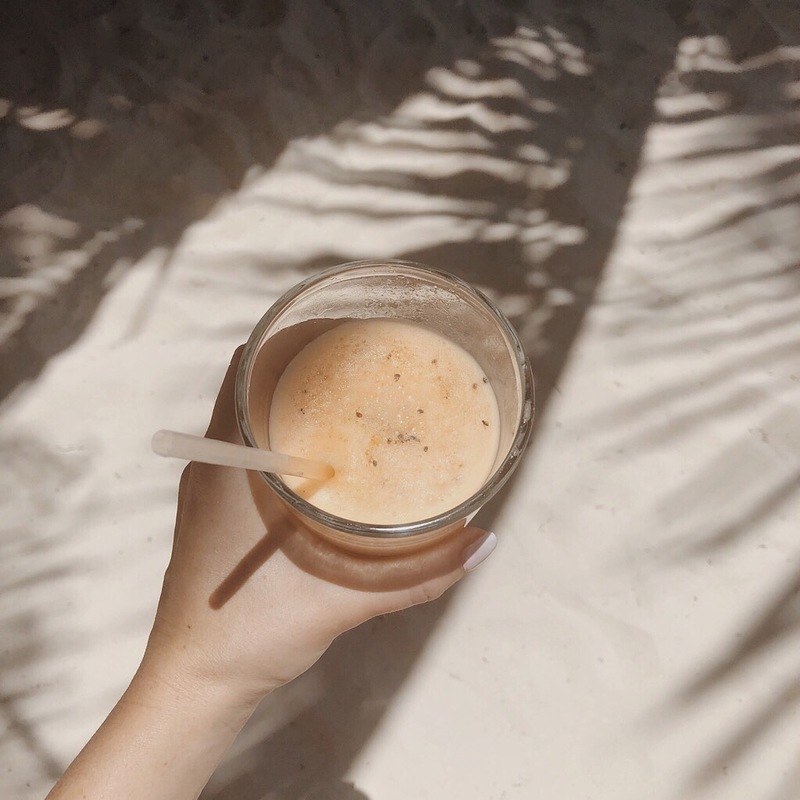 Raw Love – Tasty smoothies and very friendly barman. Perfect for a break while having a walk on the beach. Casa Jaguar – we went to Casa Jaguar for our first honeymoon dinner – very romantic setting and incredibly tasty food! 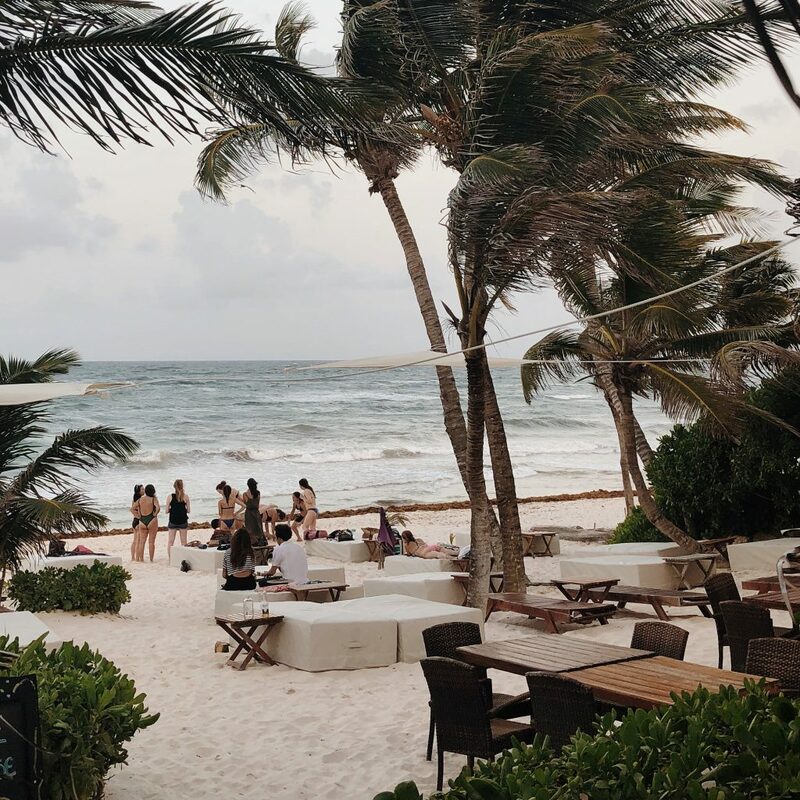 Rosa Negra – the most busy restaurant in Tulum. Higher prices than in most of the Tulum restaurants, yummy food (especially the homemade bread), great surprise show performed by the waiters. My suggestion – Stop in the places that attract you either by style, atmosphere or menu choice (or all of the above, most of the time!) 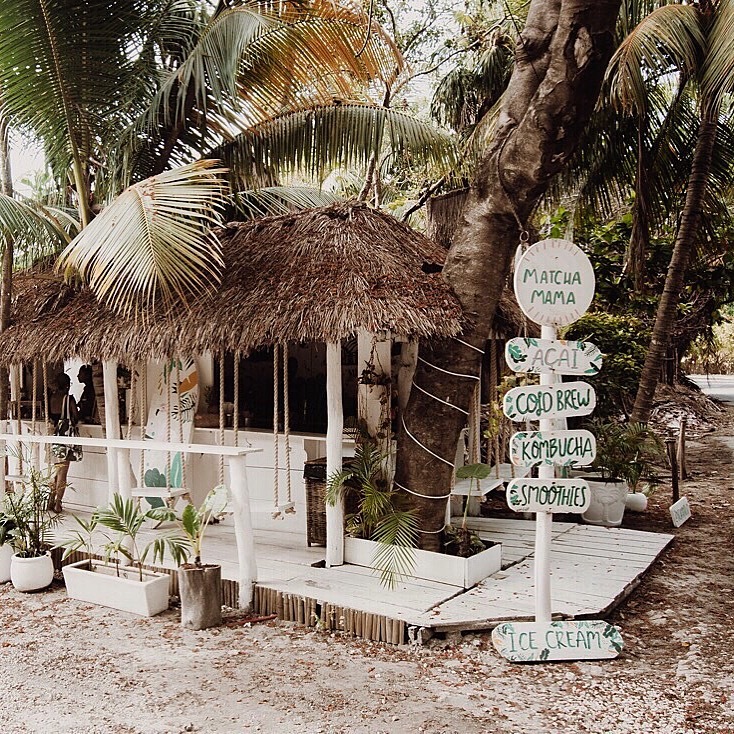 there are too many unique and cosy spots located on the Tulum road to list them all, explore! 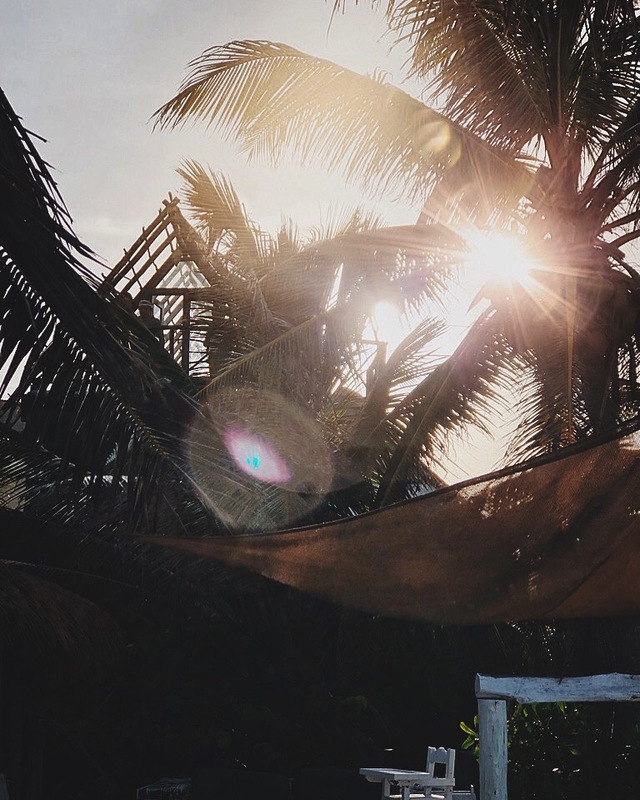 Tulum town & Tulum ruins – the only Mayan city built on the coast. 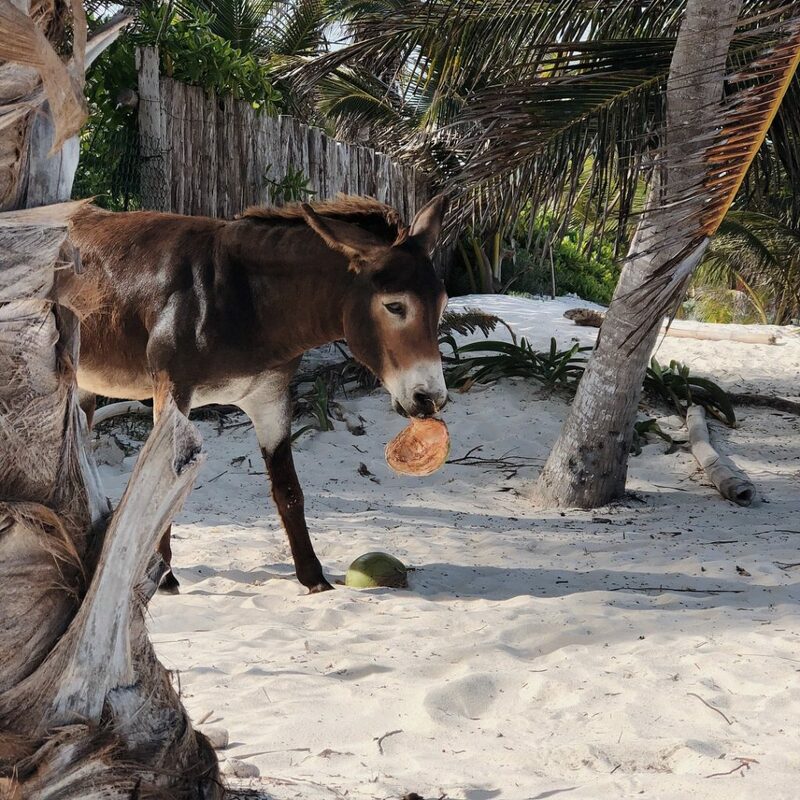 In the language of the Mayan people Sian Ka’an means ‚Origin of the Sky’ or ‘Gift from Heaven’ and it definitely was (not a NICE one though!) A fun, day boat trip around the biosphere which is rich with tropical forests, mangroves (crocodiles!) and marshes, as well as a large marine section surrounded by a barrier reef (turtles, dolphins). 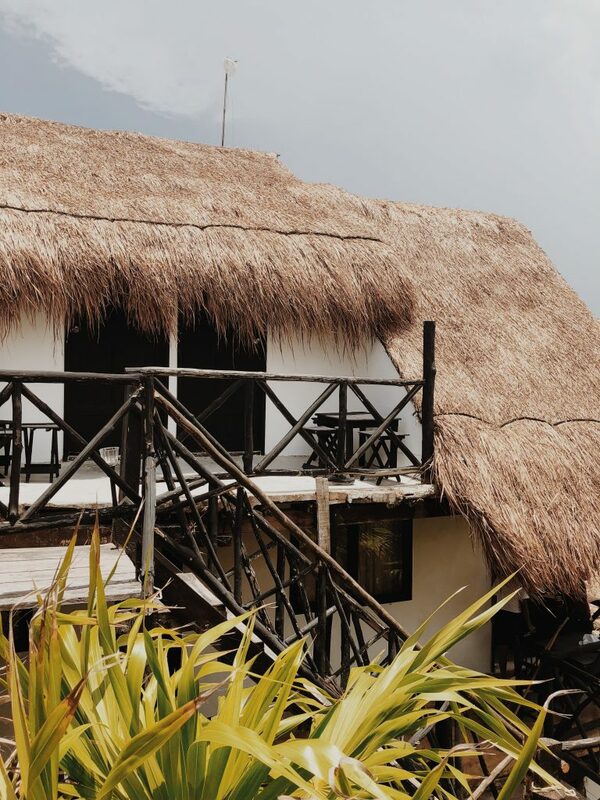 A stop in the fisherman’s village, natural hot pool, snorkling and wildlife. It was a perfect sunny, afternoon…until right after snorkling far from the coast, we were caught in a tropical storm on our tiny boat. I have always been terrified of huge waves and sea storms (in theory!) but this was real! And things were getting worse. Everyone was snugged up in wet storm coats with every bit of zipper done up tight, holding onto the boat, big waves, zero visibility, slamming into the bottom so hard you had to keep your teeth clenched shut so that you would not bite your tongue. Scary moments!! After terrifying 40 minutes of struggles and horror we finally managed to get back to the coastline. As they say… life isn’t about waiting for the storm to pass but learning how to dance in the rain, so we all followed our guide – Alejandro, jumped into the hot, natural pool, opened bottle of tequila, had a shot or 3 (yes, straight from the bottle) and screamed into the sky ‘Viva Mexico!’ True story! I will never forget that, now that we survived! Valladolid – a small colonial city with pastel-colored, low rise-buildings, and rich Mayan culture. After my first glimpse of the town, I was in love! 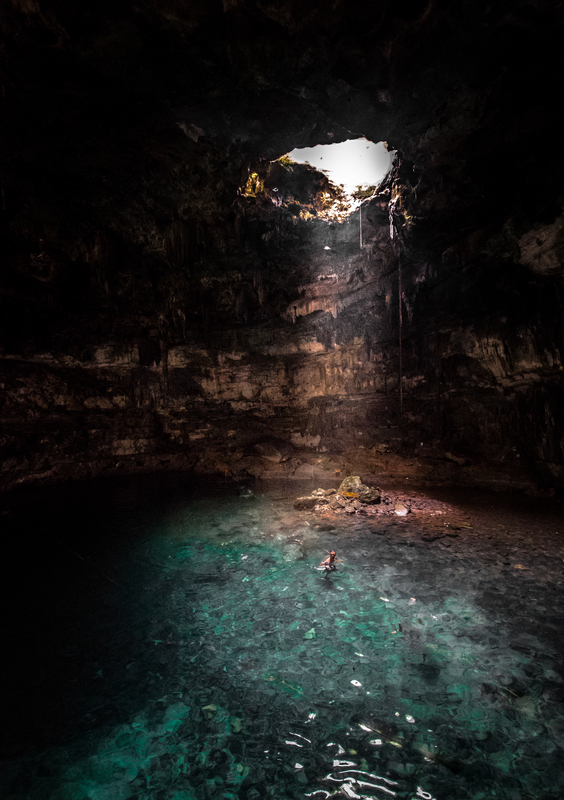 Cenotes, cenotes, cenotes – You can’t leave Tulum without visiting one of the cenotes. Cenote Il kil, Samula, Xkeken…are the few of my favourites. It’s all great but…what about that P R O B L E M noone likes to talk about? I feel like I need to bring up the carribean coast problem noone seems to mention. Yes, the seaweed. Have you heard about the seaweed invasion? Have you experienced it? We were prepared for it, that’s why it did not affect our holiday, yet we saw people being VERY disappointed by the beachlife. Be ready to see the seaweed (loads of it!) so that the swimming can get hard, but don’t let it ruin your holiday. 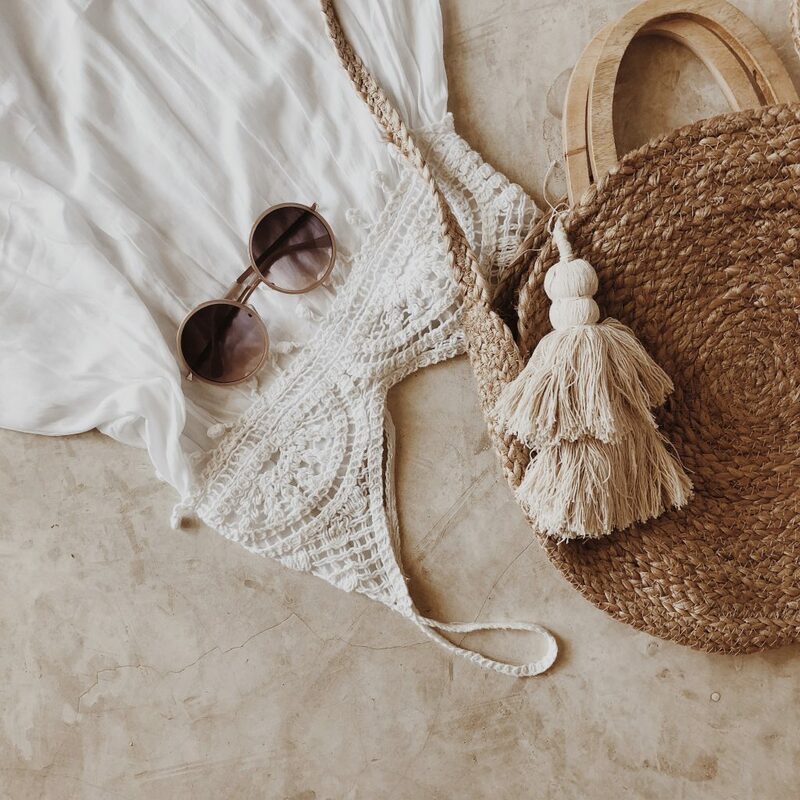 There are many things to do aound in case you happen to be there on one of the bad seaweed days (crystal clear water cenotes, archeological sites, adorable towns). It is quite common all around the year in the recent years. Just be ready for that. 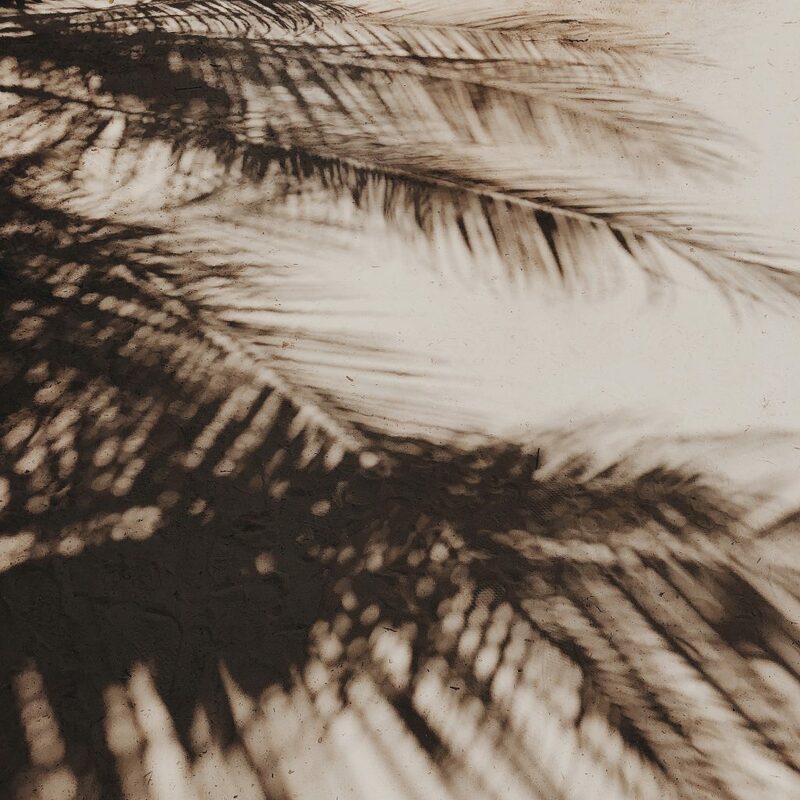 If you want to get more inspired, visit my Instagram, where I’m sharing daily our adventures from Tulum and around Mexico. The next post will be dedicated to our roadtrip around Yucatan including stops in: Valladolid, Chitchen Itza, Cenotes, Izamal, Celestun, Merida, Rio Lagartos, Las Coloradas, El Cuyo and more.